A few months ago, I teamed up with Land o’ Lakes and a group of talented bloggers to create some new and different recipes using LAND O LAKES® Eggs. They asked us to do it again, and I was happy to be a part of it. As you can imagine, I go through a lot of eggs at my house. I buy them almost every time I go to the grocery store, and when I buy LAND O LAKES® Eggs, I know that I am getting the freshest eggs possible. 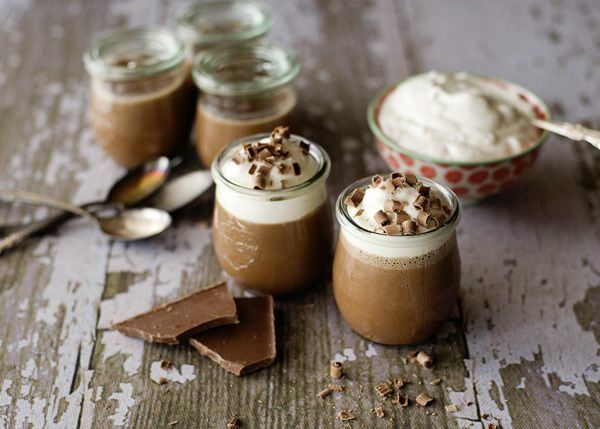 For a recipe like this Milk Chocolate Pots de Creme, having fresh and high quality eggs is very important because they are the star of the show. Pots de Creme is the french equivalent of custard. Traditionally, they are served in beautiful little pots, hence the name pots de creme, or pots of cream. The egg yolks make this recipe the most rich, creamy, and smooth dessert that I can think of. Almost like a chocolate pudding, but times a thousand. There are a few ways to make this dessert, but I am opting for the stove top method. 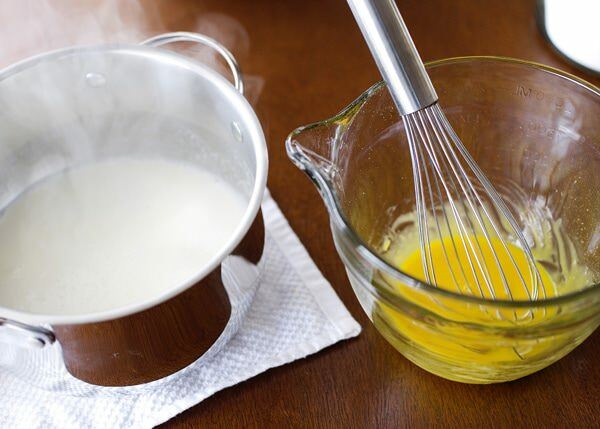 You heat cream and milk together with sugar and salt, bring it to a boil, and slowly marry it into whisked egg yolks. You put that mixture on the stove and cook it until it becomes thick and coats the back of a spoon. Pour the custard over chopped chocolate, let it sit, and then give it a go in the blender to get out any lumps that might form from the cooking process. 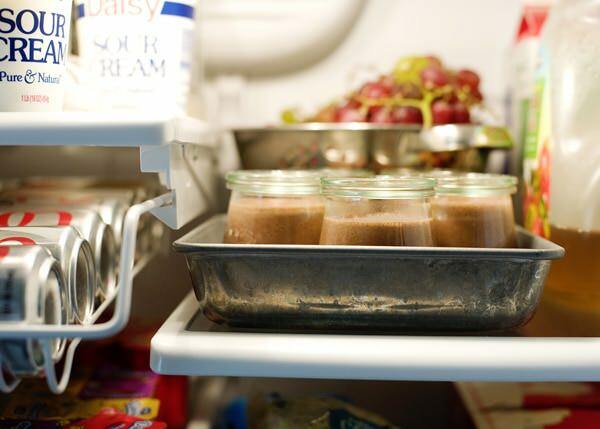 Chill in the fridge to let the pots de creme set up, top with some freshly whipped cream, and some milk chocolate curls. Heaven in a cute little pot. 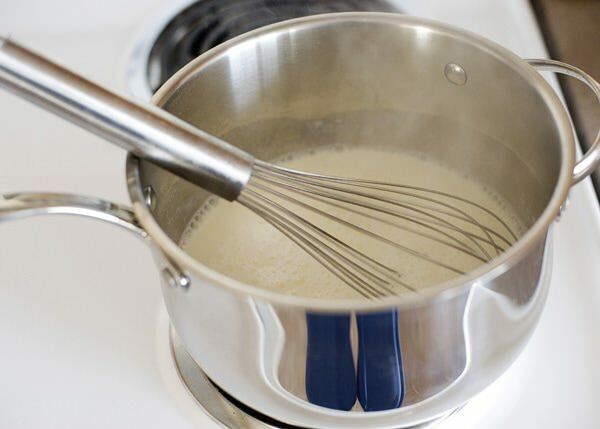 In a medium saucepan, bring the cream, milk, sugar, and salt to a boil over medium heat. 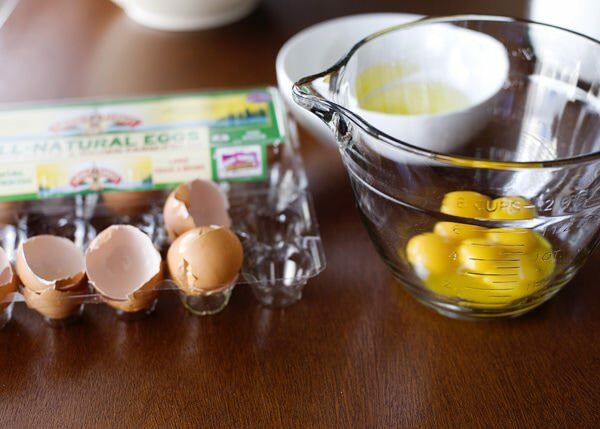 In another heatproof bowl, whisk the egg yolks. 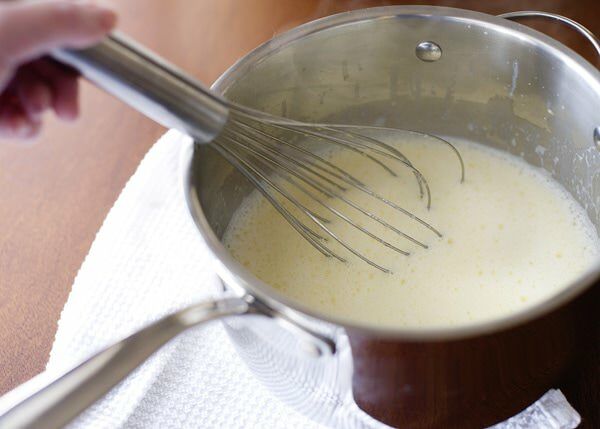 Very slowly, whisk the half of cream and milk mixture into the egg yolks. Pour the egg and cream mixture back into the saucepan and put it back on the stove. 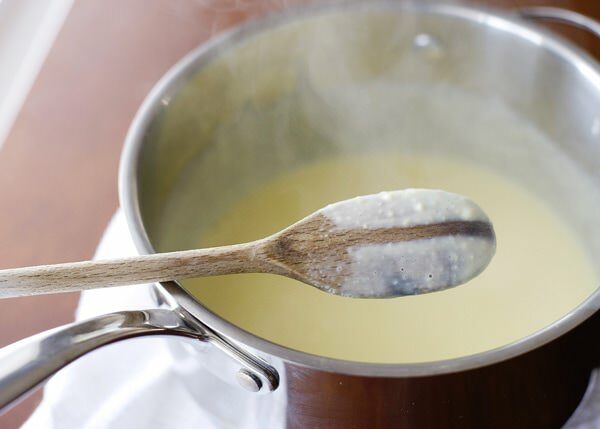 Cook over medium heat, and stir constantly with a wooden spoon until the custard coats the back of the spoon, about 4 minutes. Add the chopped chocolate to a large heatproof bowl. Pour the custard over the chocolate and let it stand for 2 minutes to melt the chocolate. Add the vanilla. 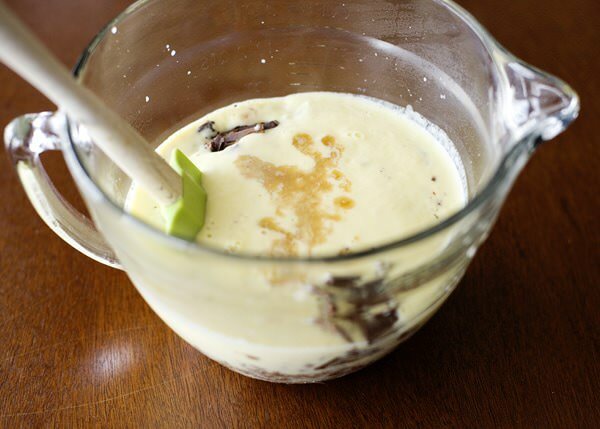 Put the mixture into a blender and blend for 1 minute until it is completely smooth. Pour the mixture into 4 (1-cup) bowls. 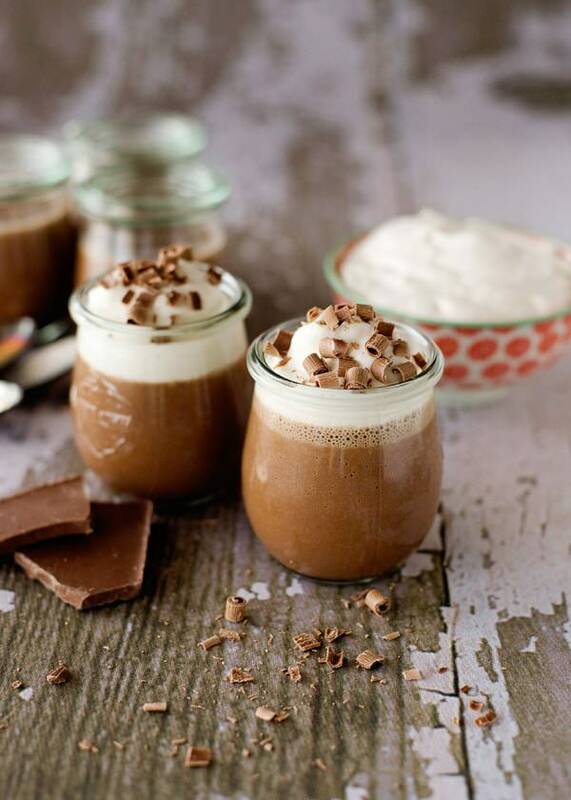 Garnish with freshly whipped cream and chocolate shavings. I was wondering when you were going to post this recipe! Looks fantastic and I love those chocolate shavings! YUM! These look amazing! I can’t wait to try them. 🙂 I’m eating gluten free right now and this is something I can definitely have! I linked in the comments the source. These look wonderful!! Where did you find these “pots?” Adorable! They look so good and gorgeous photography! Perfect ! And the photographs are so gorgeous. thank you so much K&B. Those pots are so cute. 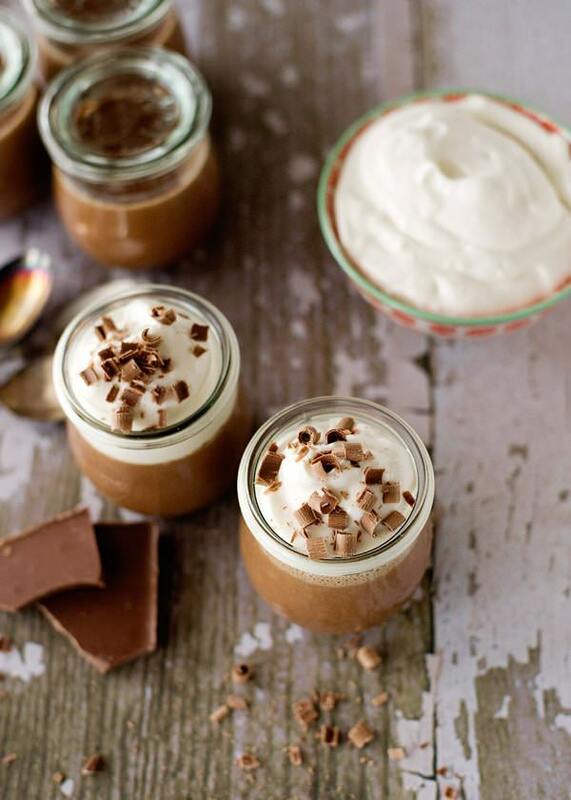 The pots de creme look amazing. It is one of those days where I could use a little chocolate! These look delicious! These look so decadent! I bet they’re truly rich and delicious! Well done. Wow…these look so decadant! I’ve always wanted to try Pot de creme but just never got around to it. I love the pics also. These look so scrumptious! I need to make these…like now. I hope you do Katrina! Ever since seeing your new main banner I’ve been wondering when you were going to post this! Looks divine, Bree, as always! I just about flipped when I saw this on FoodGawker! It looks so amazing…I am such a chocolate addict! thanks Charissa! They are really rich and delicious. These jars are very pretty, where do you get them? Wow, this looks fantastic! And I totally had a lightbulb moment when you said that pots de creme is translated into pots of cream. I didn’t know that… and now I feel a little dumb, haha. I guess I never really thought of how it was translated. Anyways, lovely looking chocolate concoction you have here, and I would love to have some right now. 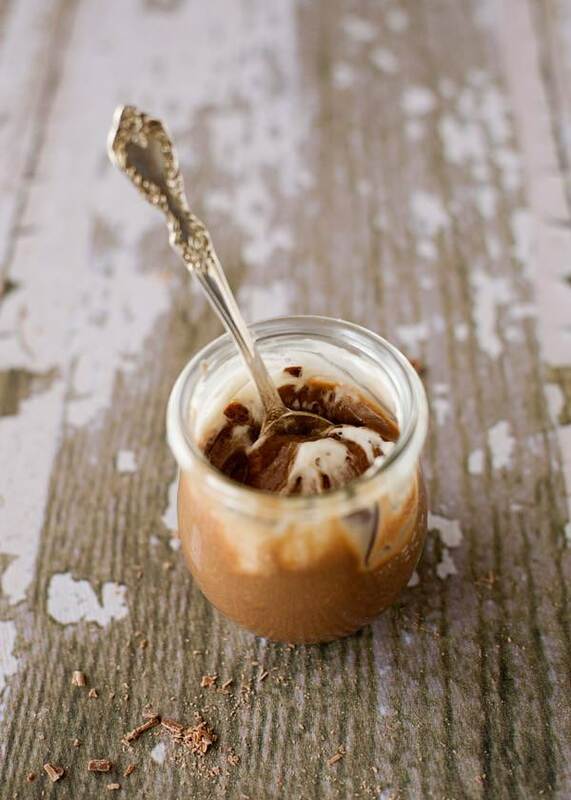 I hope you win awards with your photography this year-they’re awesome,just as this yummy recipe! thank you Jen! That is so nice of you to say. 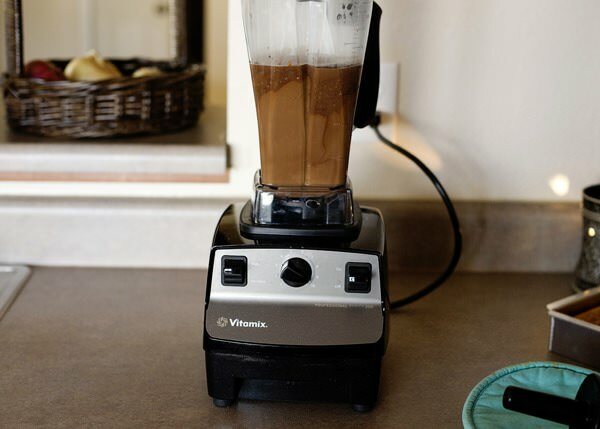 All i can say is YUMM..and also that i envy ur Vitamix!!! Bree, YUM! I love this. You’re site is looking amazing! thank you so much Valentina! Wow, it looks like a very great candidate for a a comfort food. Thanks for the share! Where can I find these little Jars? Those look so good. I’ve never tried Land O’ Lakes eggs… will have to look for them! Where did you find that gorgeous table / backdrop? Love it! I would really like to try this. I found you on Foodgawker and I’m so happy I did! All your recipes look lovely. These pictures are just amazing. I can’t stop scrolling up. Bree, I am so addicted to your blogs! Your recipes are always so clean and delicious AND your photography is beautiful. Thank you for continuously providing me with inspiration! Oh and I must ask- what size is your foflor? That looks so cool! thank YOU for writing such sweet comments! I think that it is the runner size. This photo is absolutely gorgeous. And it works perfectly for a header! These look great and fairly simple. Can you chill for longer than 2 hours (ie. can you make these the night before and let chill for a full 24 hours)? Oh yes! A few days at least. Hey, thanks for the great recipes — Love your site! I just made these this afternoon – a bit late for valentine’s day. 🙂 I tasted the chocolate mixture before putting them in the fridge and found them a bit salty … but maybe this also has to do with the combination of the types of chocolate I used. Otherwise, amazingly delicious. The kids and husband will be extra surprised with dessert tonight! Glad that you liked them. Hope they mellowed out for you. I love your way of writing , taking pictures. You have a very admirable blog here. thank you so much Amany! Welcome Paula. The link is in the comment above. 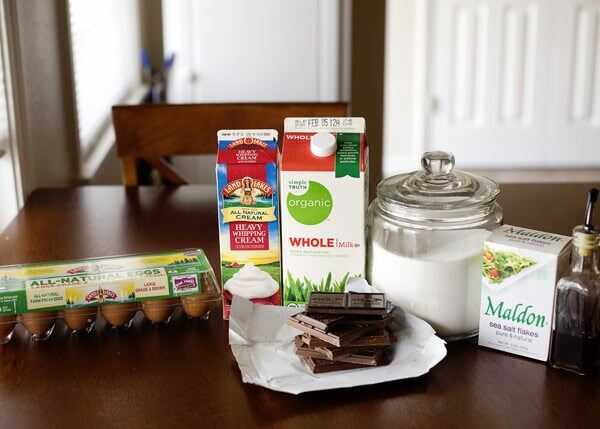 Is that a Pampered Chef batter bowl you are using to mix your eggs in? I can’t wait to try this, sounds super yummy! Yum! Just finally made these today for Thanksgiving dessert. Thank you for the great recipe!